An email signature allows you to automatically include a few lines of contact information (or any other information) to the bottom of every outgoing email message, allowing you to easily advertise your business or yourself. Select Mail | Preferences… from the menu. Type a name that will help you recognize the signature. Always match my default message font. This will have OS X Mail set the entire signature’s text using the default message text font, and your signature will not only blend in well with your emails, but OS X Mail will also be able to send small and efficient text-only email messages (when you apply no formatting to any text while composing the email). Paste/Edit the signature’s text in the area to the right. Select All Signatures in the accounts list (or, of course, the account for which you created the signature). Drag the signature you want to use to the desired account. Close the Signatures preferences window. Click the settings gear button and select “Settings” from the drop-down menu. Stay on the “General” tab, scroll down to the “Signature” section and select the option below “No signature” to turn the feature on. Enter the text you want to use as your signature, or Copy & Paste the HTML Signature you would like to use. If you have a logo, you can insert that as an image with your text or on its own. You can also add hyperlinks to text in your signature, by selecting the text for the link and clicking the “Link” button on the toolbar. NOTE: If you want to add an image to your signature, you need to use an image that’s available publicly on the web. For example, to use your company’s logo, you might be able to find it on your company’s site and copy the URL from there. You need a web URL to include an image in your signature. If the image you want to use is not already available on the web, you can use sites like Blogger and Google Sites to create a simple website and upload your image to it. Or, you can use an image hosting service. 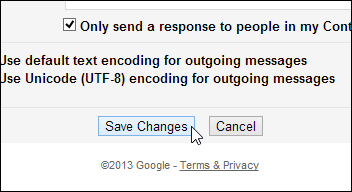 You can edit or delete the signature manually once it is inserted into a new message. 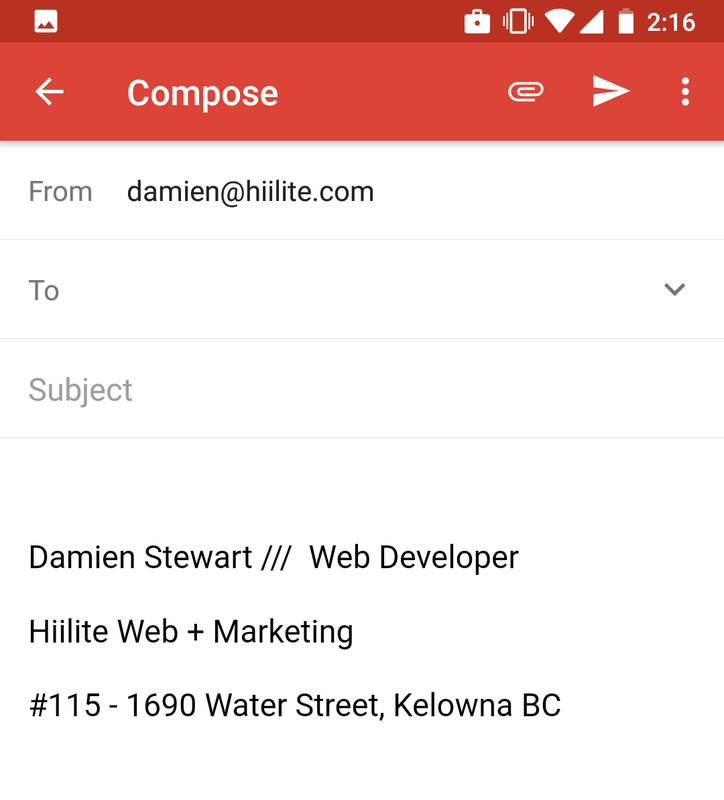 The Gmail mobile app allows you to set up a signature for use in the app that’s separate from the signature you setup in Gmail in a browser. Click your phone’s menu button (Top Left) and select “Settings” from the sidebar menu. 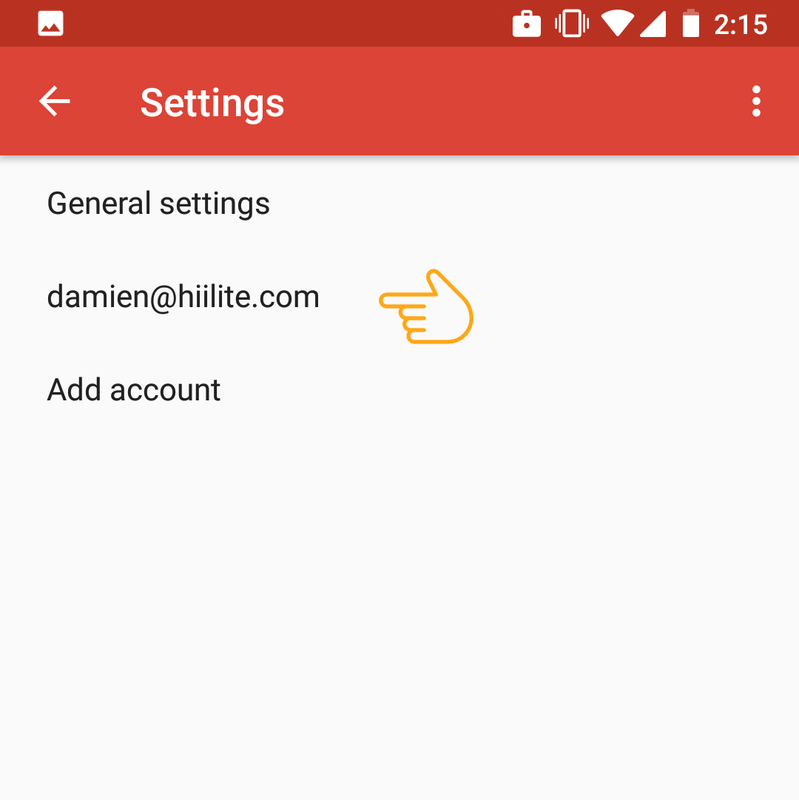 In the “Settings” menu, tap the email address for the account for which you want to setup a signature. 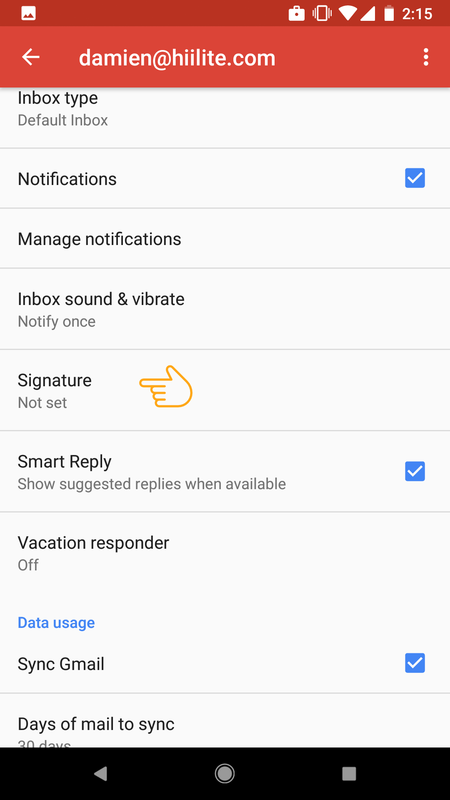 Touch the “Signature” option in the “Settings” menu. 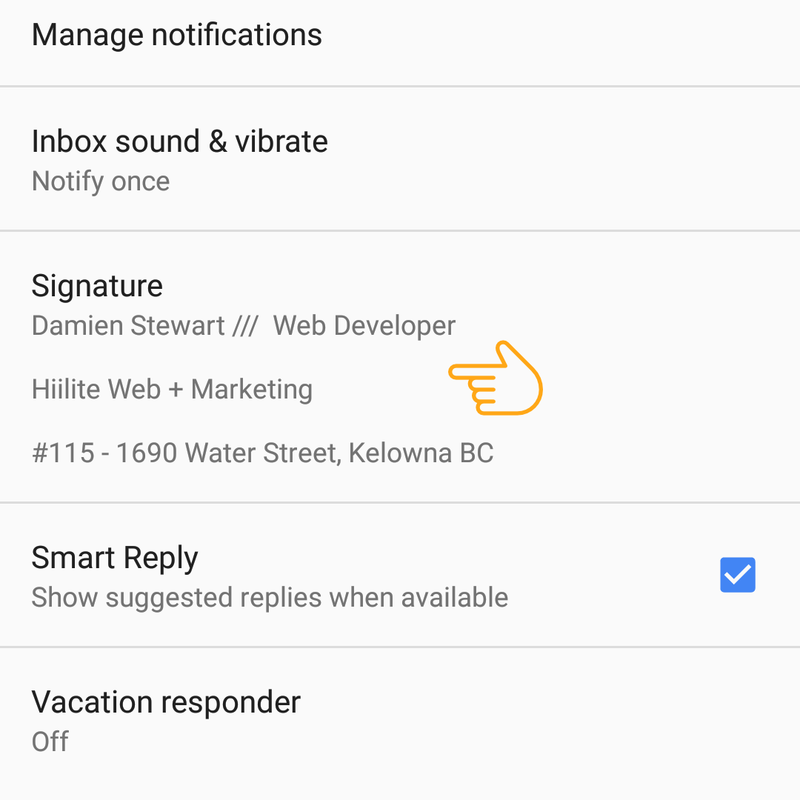 Enter your signature on the “Signature” popup dialog, or paste a signature you’ve already copied, and touch “OK.”NOTE: You can press “Enter” in the signature to put your signature text on multiple lines however, you cannot add hyperlinks to the text in your signature in the Gmail app. The signature displays below the “Signature” option on the “Settings” screen. Press the “Back” button on your phone twice to return to your inbox. Touch the “Compose” button. The signature you defined is automatically added to the new email message. Replace the existing signature with your desired new one. If there isn’t an existing signature, click “New” and create one. In the top-right corner of the signatures box, you will be able to select default signatures and whether to include signatures automatically on replies. Once you are done, click “OK” and your changes will be saved. Email signatures are the shoes of the corporate world. Sometimes you just need a short, to-the-point one for chain replies. Sometimes you need a formal, official-looking one. Unfortunately, Microsoft Outlook’s signature options can be somewhat hard to find, buried deep in the abyss of its backstage mode for options. 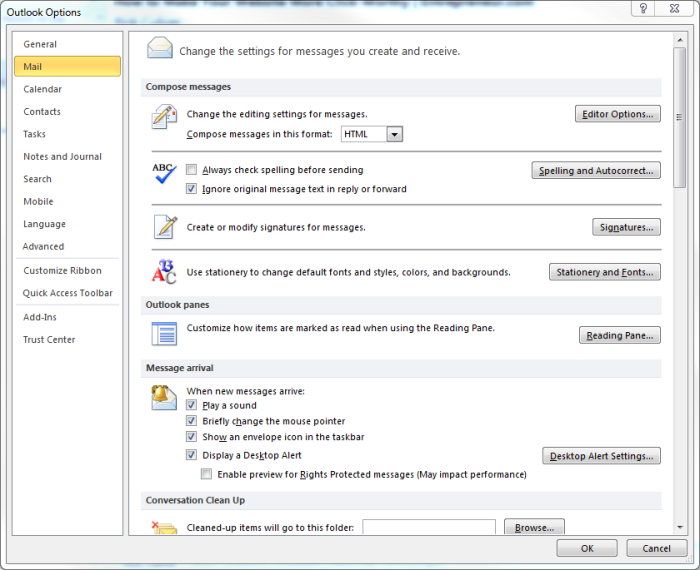 Here’s how to create a signature in Outlook 2013 in five quick steps. 2. Click Signature from the top panel, next to Attach Item. 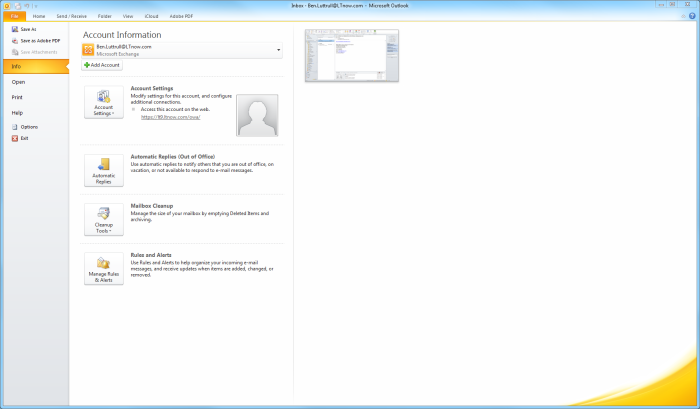 A dropdown menu will appear, with options to add an existing signature to the email you’re working on. Select Signatures from this menu to open a Signatures and Stationery window. 3. Click New in the Signatures and Stationery window to create a new signature template. 4. Compose your signature in the editing window. If you have your contact information already saved in Outlook, you can simply import all that information as a business card by clicking Business Card at the top right of the edit options. You can add images to your signature, like a logo or banner, by pasting them into the editor or clicking the button to the right of the Business Card button. URLs will be automatically hyperlinked, but if you want to add your own link, you can click the Insert Hyperlink button on the extreme right. Click OK, and your signature will be saved for future use. 5. Designate your new signature as your default in the Signatures and Stationery window if you want to make sure it is included with every new message and replies or forwards you send. 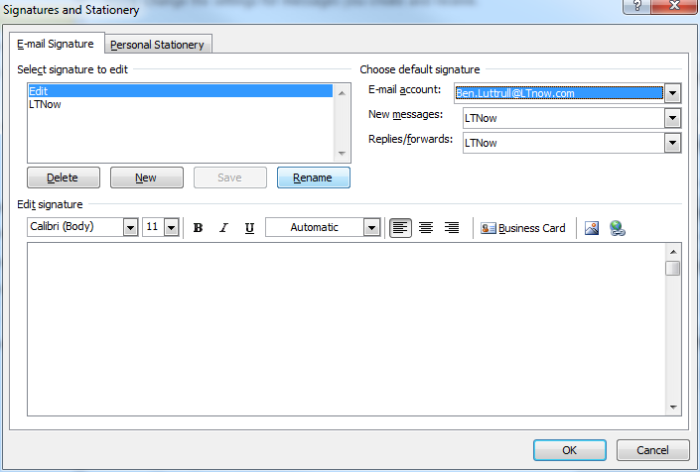 If you don’t want a default signature , you can insert the signature into individual email messages by clicking Signature in the Compose window as in Step 1, and selecting the signature you just created.